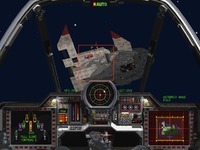 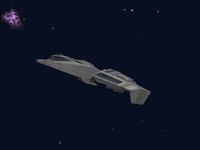 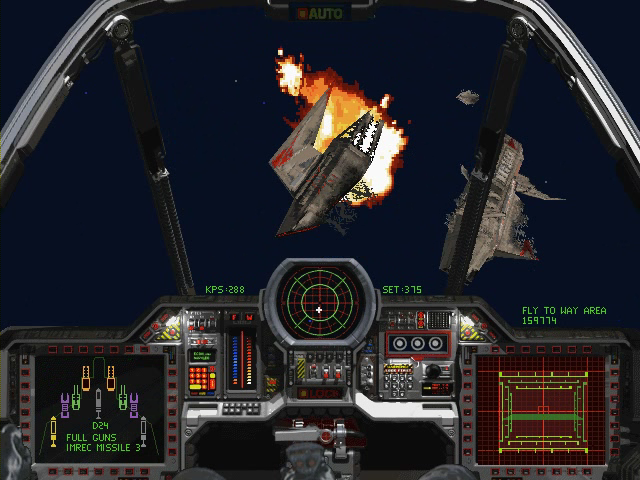 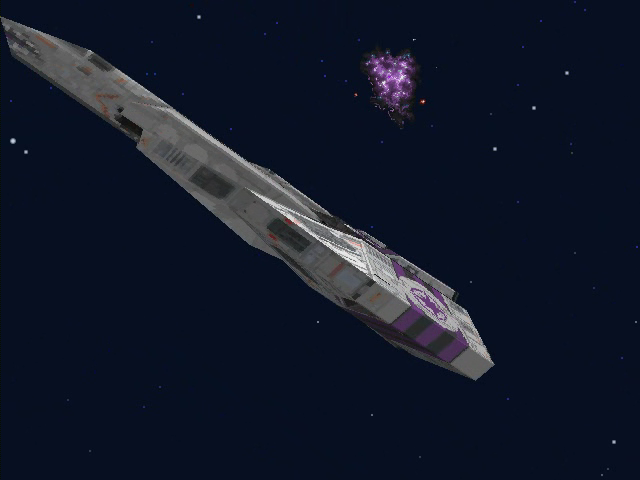 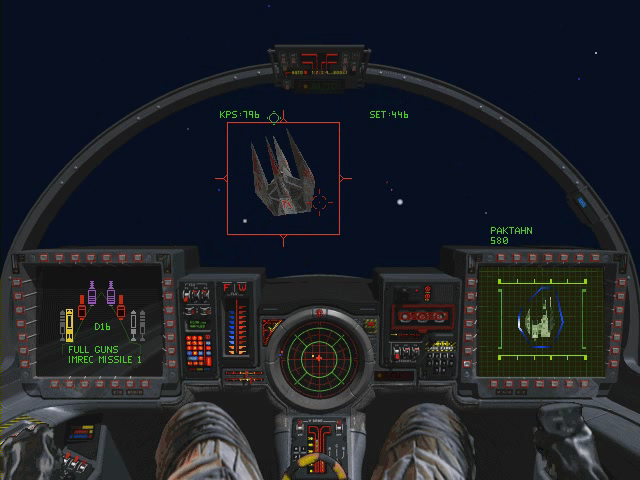 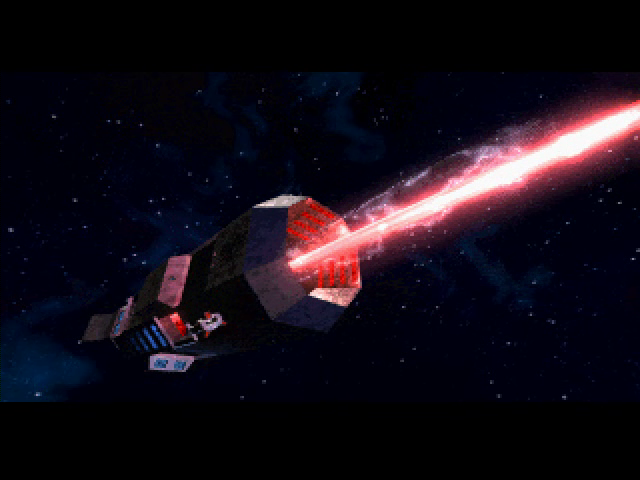 Wing Commander III represented a major technological and cinematic leap for the Wing Commander series. 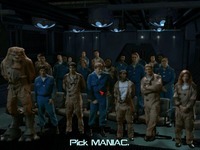 The game made headlines with its multimillion dollar budget and all star cast lead by Mark Hamill, Tom Wilson, John Rhys-Davies, Ginger Lynn Allen, Malcolm McDowell and Jason Bernard. 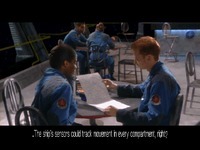 Some four hours of recorded video on green-screen sets conveyed the story in a true interactive movie fashion. 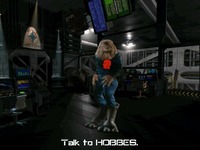 The player could choose to make decisions about how conversations would play out, and this would affect the storyline and gameplay later on. 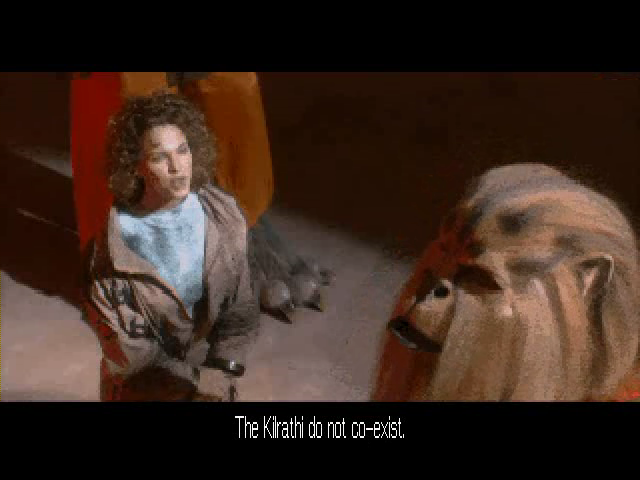 Advanced animatronic puppet Kilrathi were used. WC3 featured top notch SVGA graphics and required a whopping 8 megabytes of RAM and CD-ROM drive. 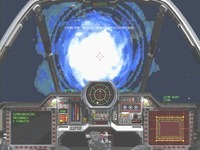 Wing Commander fans were warned with an advert included with Wing Commander Armada to bulk up their computers in time for WC3's release, and Origin partnered with local Austin companies to provide discounts to fans upgrading for their favorite franchise. 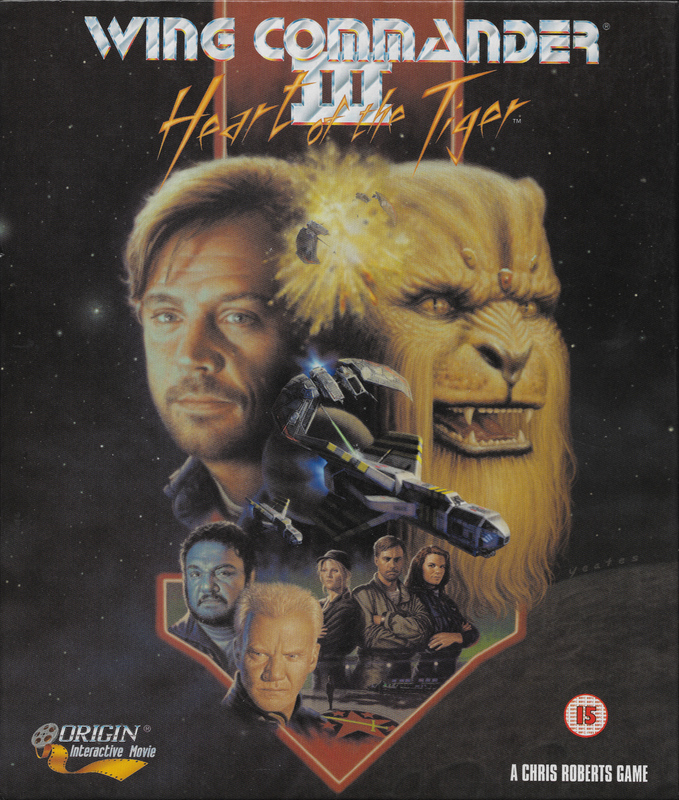 Wing Commander III sold well over a million copies and was one of Electronic Arts' best selling PC games of the entire 1990s. 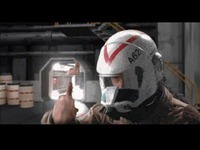 Professionally scripted and filmed in Hollywood, ORIGIN's multi-million dollar production combines the entertainment of film-making with the interactivity of computer gaming. The result is a spectacular spaceflight adventure. 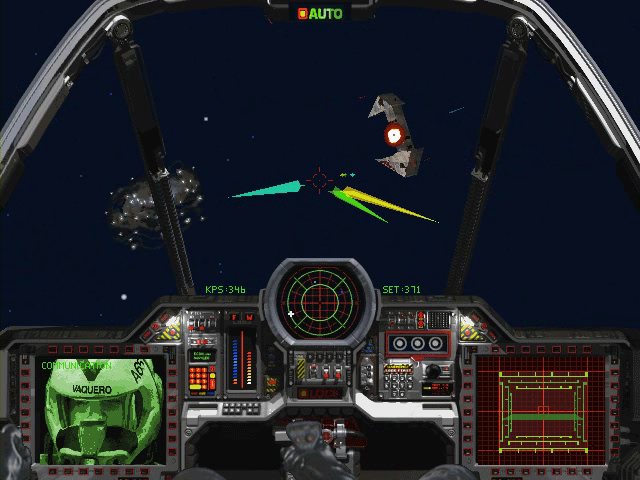 The original release. 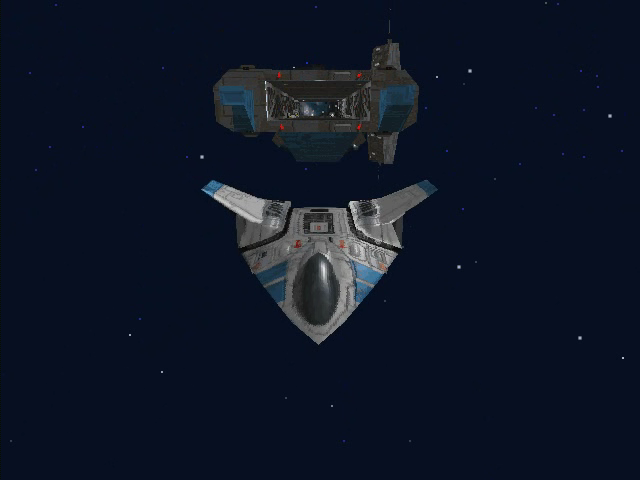 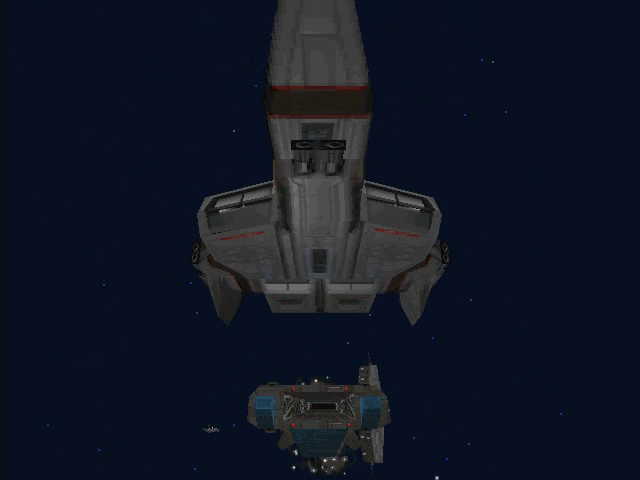 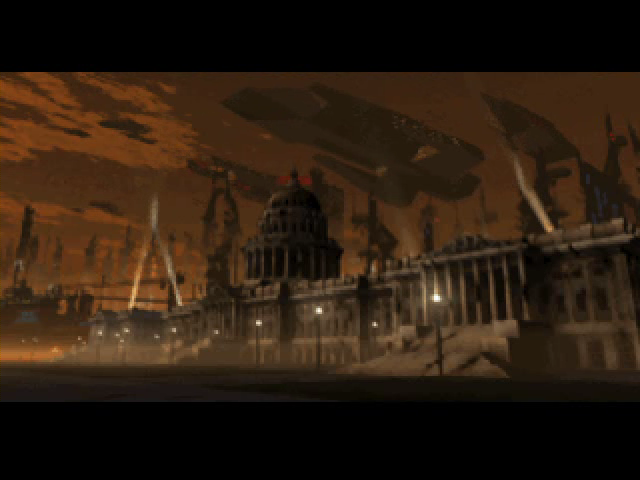 There's a lot of video in Wing Commander III... but there could have been more! 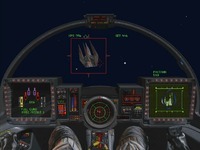 Several scenes were cut from the finished game to enable it to fit on smaller CD-ROMs--the first generation of CD 1x CD drives was unable to read the now-standard 72-minute CDs, forcing Origin to cut down WC3. 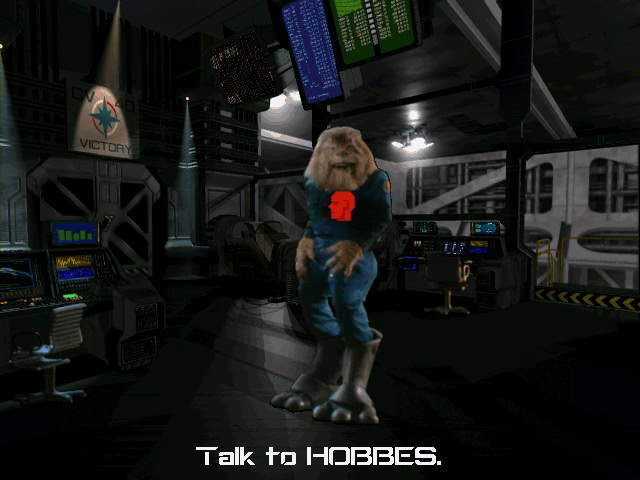 Removed from the game were the famous 'Hobbes explanation' and a variety of 'infobursts,' short news segments where a reporter talked about the state of the war. 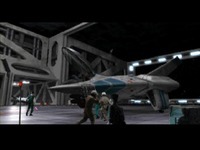 Thanks to their inclusion on later console ports, you can access and download all the scenes here. 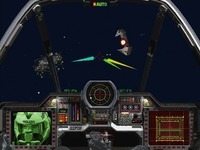 The Macintosh version is almost identical to the PC release. 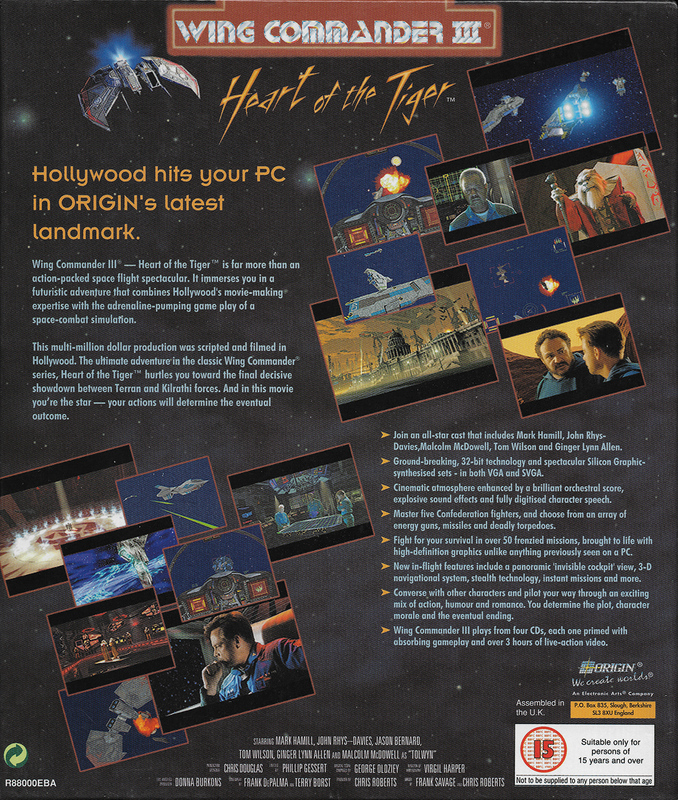 It was developed by Lion Entertainment in Austin, a group that worked closely with Origin. 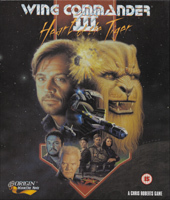 The Windows 95 version of Wing Commander III was first included in 1997's The Kilrathi Saga package. 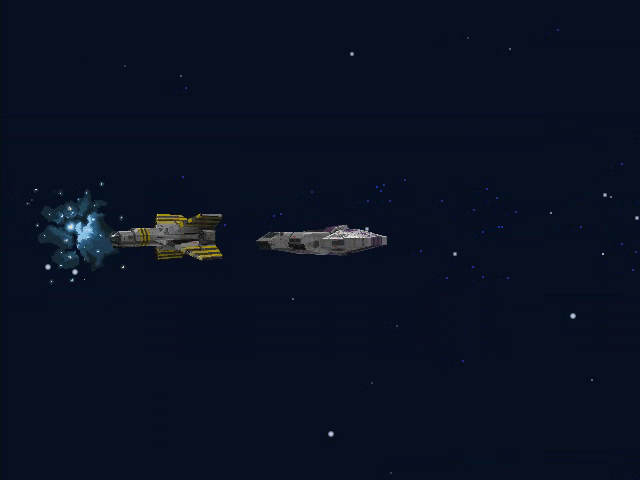 The only major change in the release was a switch to digital music, which unlike the other Kilrathi Saga ports was not reorchestrated. 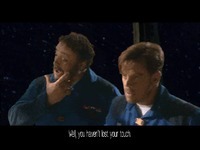 In Japan, this version was sold separately. 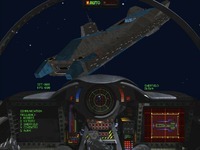 The Playstation port tries to emulate the original release, with a great deal of success. 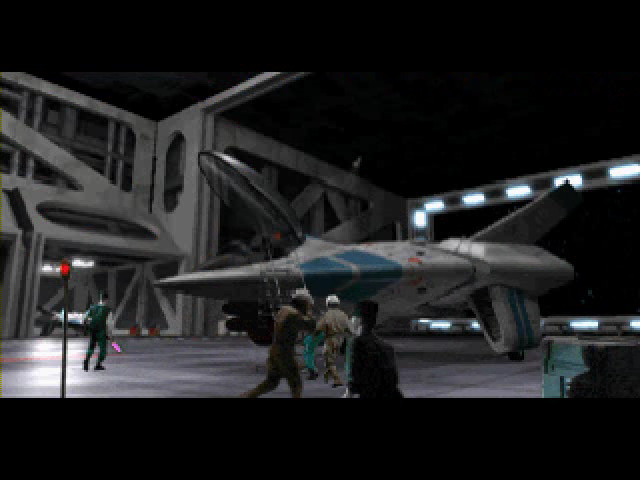 Some cuts were necessary--including ground missions--but the larger size of the standard PSX discs did allow for more videos. 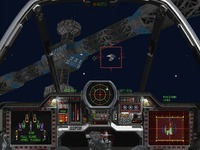 Unfortunately, it has some difficulty running on modern iterations of the Playstation. The 3DO version of Wing Commander III is one of the finest console ports ever created. 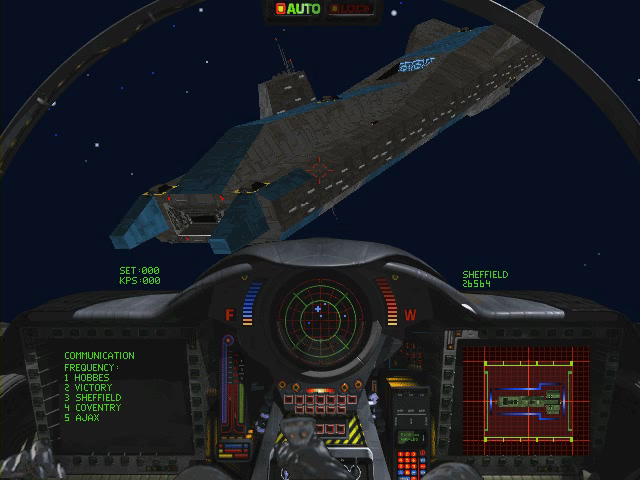 Rather than tax the 3DO hardware trying to recreate the PC version of Wing Commander III, the 3DO version instead opts for a different experience--the graphics aren't as impressive, but the gameplay (including every mission) is redesigned for faster, more action-oriented gameplay. 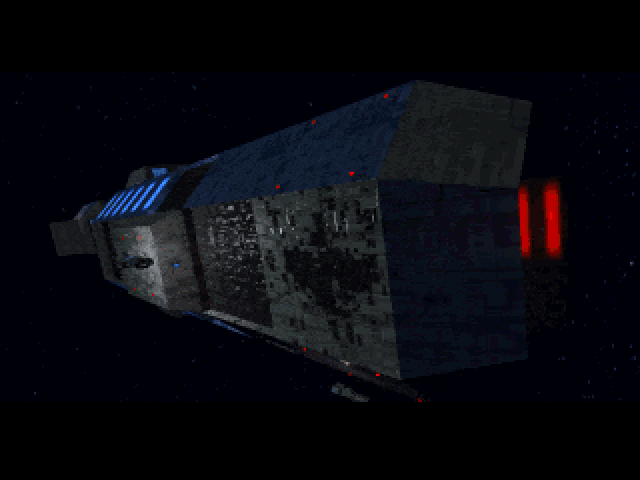 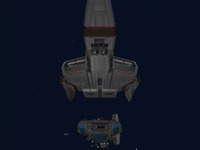 The result is an entirely new Wing Commander III experience. 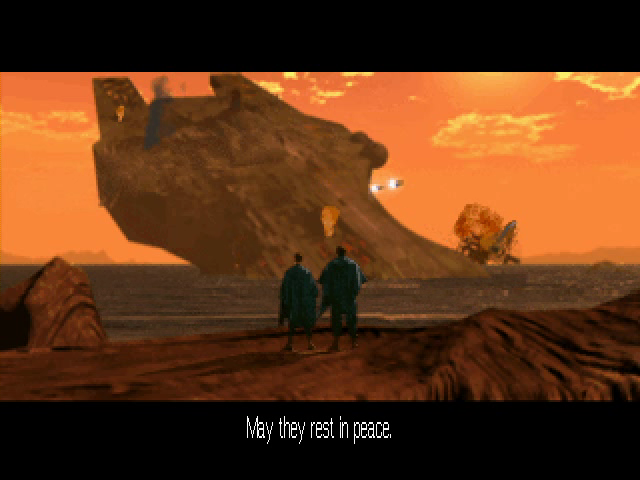 A version for the M2, successor to the 3DO, died with the console itself. 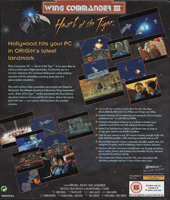 Announced and actually shown at a trade show but later abandoned.